Telnet is an application protocol used for two-way communication using terminal connection. 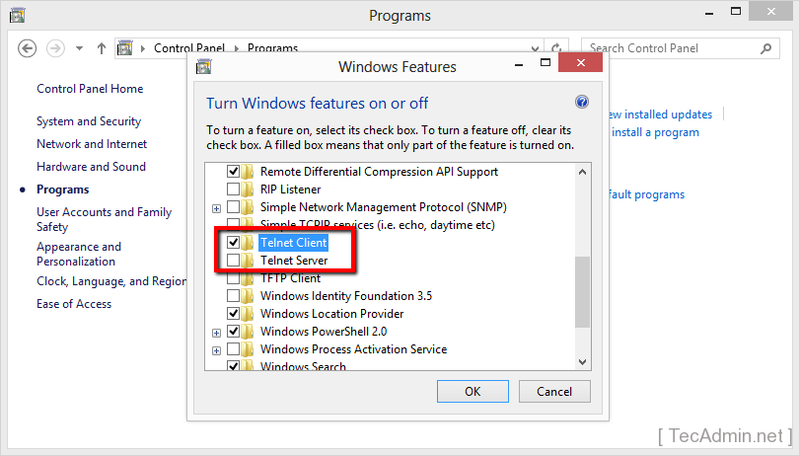 This article will help you to enable telnet client and server on Windows 7 & 8 operating system. 1. 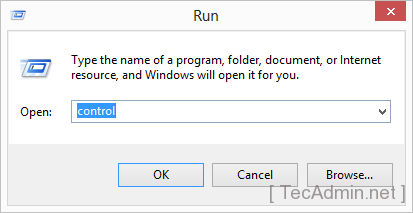 Firstly open command prompt and type telnet command to make sure that it’s already installed or not on your system. 2. 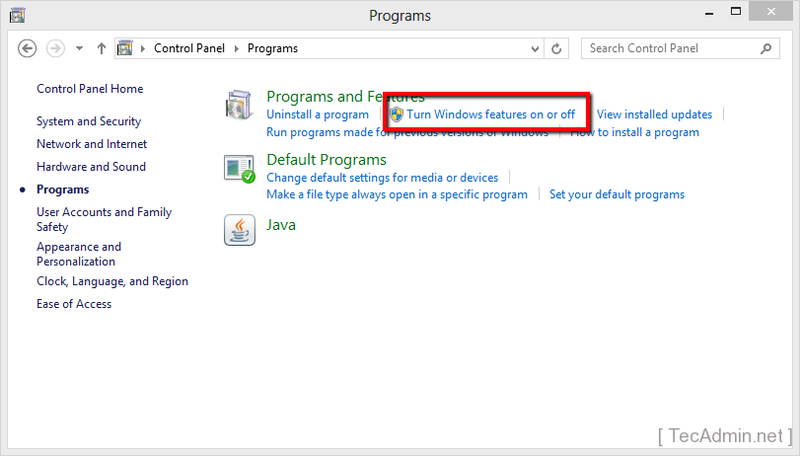 Open control panel on your system by type “control” on run window. 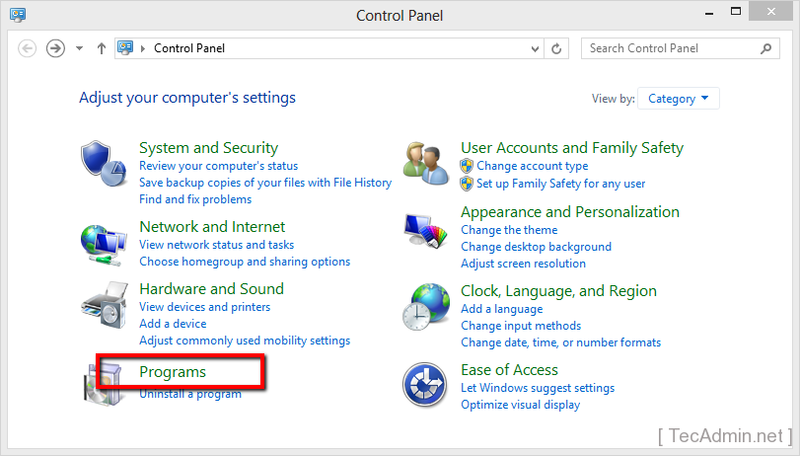 You can also open control panel using windows navigation. 3. Now click on programs link in control panel as per below screen shot. 5. 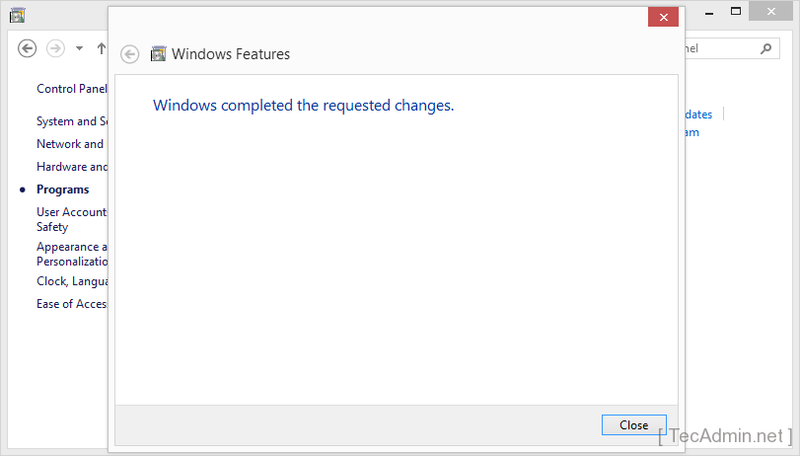 Now you will get Windows Features dialog box. Select Telnet Client check box as showing in below image. You can also select Telnet Server to enable telnet server on your Windows system. 6. As the telnet client has been installed on Windows system. Lets again type “telnet” in command prompt and hit enter, You will get result like following. Ok, why on earth would you tell windows users to enable a deprecated program/protocol that passes credentials in the clear??? Wouldn’t it be better to teach them how to use SSH? 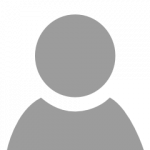 This tutorial is showing to enable Telnet client ( not telnet server) . I think still most of system administrators used telnet to check port status of remote systems.